The Moot Path Access Project (MPAP), our principle project for 2017, is designed to develop a scenic route from the main entrance to the banks of the ornamental pond that can be used by pedestrians and wheel chair users, in most weather conditions. 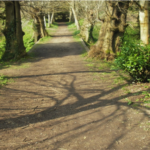 This refurbished primary route has been chosen, using current paths, to give the user a varied experience, on the way down to the pond, through the trees and shrubs. 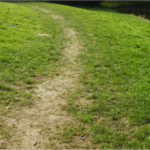 The path surfaces vary from previously gravelled to open ground of mown grass. 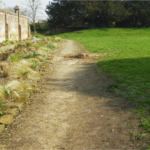 The MPAP has also specified a secondary route using a more direct way of approaching the ornamental pond using predominately the original outer ditch. 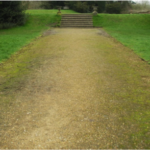 This route is currently used to provide vehicular access for maintenance and to service events held in front of the pond as viewed from the terraced amphitheatre. The secondary route will also improve ambulance and rescue vehicle access to the pond and river edge areas. A further piece of enabling work will be required to improve the route used for maintenance tractors and mowers, also bringing the main entrance path up to the new dressing standard. 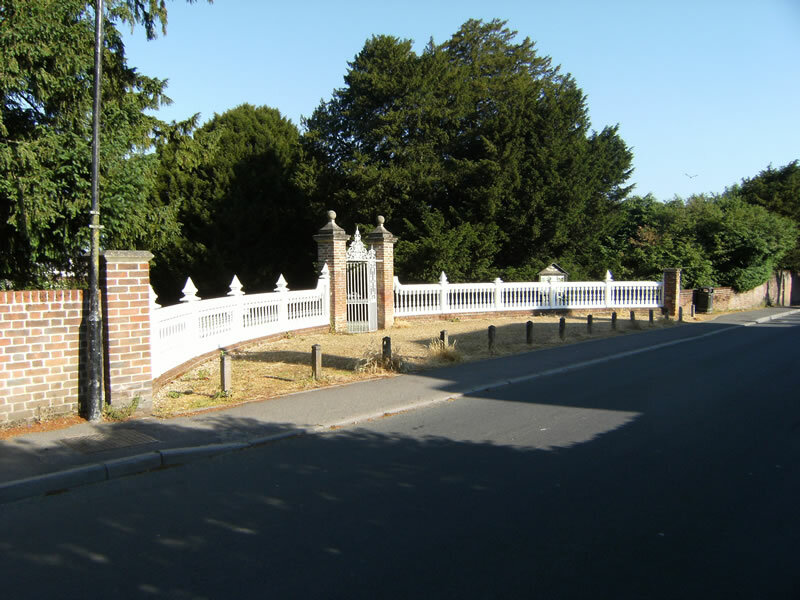 The primary route will be developed to give a minimum path width of 1.45metres for two way usage by pedestrians and wheel chairs, also allow for users to tarry whilst others continue on their way. 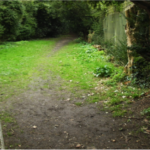 These paths will be finished with a compacted medium to fine gravel suitably consolidated. 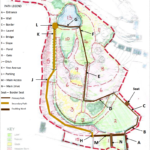 The secondary route will be designed to give a minimum track width of 2.3metres and drainage channels to take surplus run off water down to the pond. The track access and turning space will be finished using ‘Type 1 Limestone’ coarse gravel consolidated and rolled to ensure that it can drain naturally. The enabling work will be designed to give a paved access route for mowers and small tractors to all areas of the gardens. It will be important to retain the symmetry and vision of this area of the Moot Gardens. The trust is in process of applying for grants to support this work. Public support is essential too and consequently we would hugely welcome your additional support. Donations, including Gift Aid, may be made using the Now Donate button below.